One of the proven and effective ways to get more page views on your WordPress blog is showing the related posts on your blog posts. It also helps in reducing the bounce rates. As Google considers user engagement as a ranking factor, it's vital to show relevant contents to the visitors to keep them engaged. Related Post WordPress Plugins can help your visitors in finding more content of their choice on your blog and engage the users for more time. Here I'll be sharing a list of 10 Best Related Posts Plugins for WordPress that will help your visitors to discover more relevant contents. Related Post by Jetpack plugin automatically scans all of your posts, and it starts showing contextual posts that your visitors might be interested in reading. It will do all of the analysis, processing and also the serving form their cloud that genuinely indicates that there will be no additional load right on your server. Most of the time you can see that many of the plugins are often get banned by web hosts but Related Posts by Jetpack are allowed by them. To get started with the using the Related Posts, you can simply go to Jetpack page right in your blog dashboard and click on the Activate button for the related post. The best part is that here you can also customize all the look and feel of how you related post section looks like. Related Posts Thumbnails plugin will add related post thumbnails right after the posts. This plugin also allows you to customize thumbnails sizes along with displaying the settings and the type of relationship too. It has over 30,000+ active installations. Here it mainly generated by WordPress thumbnails for the first image that will appear in the post. You can also select between the "thumbnails" and the "medium" size options too. And if your theme supports the post thumbnails feature that was primarily introduced in WordPress 2.9, then you can easily specify the custom thumbnail size too. The best part is that you can also specify post custom field names that can be used as the thumbnails source. Update: Yet Another Related Posts Plugin is no longer available in WordPress Repository. I'd recommend you to try other alternatives on this post. YARPP is the most popular and widely used Related Post WordPress Plugin. This plugin will help you in showing related contents for posts along with pages and other custom post types. The best part is that here all of your content on your website will be covered by a single plugin. With the help of customizable algorithm of this plugin helps you in showing the posts based on post titles, content, tags, categories and taxonomies. This plugin can also quickly pull related content from multiple websites. But YARPP needs more server resource in comparison to more other plugins in this category. This Related Post For WordPress Plugin is very easy to use. It mainly offers you the ability to link the related post in just one click. It also has one-click installation wizard that will be doing all the hard work for you. Just activate this fantastic plugin, and set the number of posts and press the button. You can also modify the related post that has automatically been created. Just navigate to the post that is having the wrong related posts attached to it and after that select the correct related posts. This plugin also provides the related post shortcodes, and just by using them you can show the relevant posts on any position of your content on your website. It also comes up with a sidebar widget. Related Post by Taxonomy can help you to increase your readers' engagement by showing related posts on the sidebar and right after the content. You can also use widget and shortcodes to show related posts. This plugin is fully capable of finding the related post in multiple taxonomies and post types. You can change the look and the feel of the related post section by using your own templates. You can also use your own HTML Templates. Related Post Pro mainly provides a reliable and powerful solution just for all kinds of related contents. You can easily handle custom post types, categories, mixed content and many more. This plugin comes with three different layouts: Slick and Slide, Isotopic, Transitioning. It has over 200 optimally pre-defined options that will let you customize everything without using a single line of code. This plugin supports a clear documentation support right in both PDF and HTML formats. You can simply use them both before buying. Related Post Pro is fully compatible with custom post types by using plugins like WooCommerce, wp eCommerce and also bbPress. It has a custom meta box for each post right for the possible post-level configuration. Shareholic is a leading Social Media WordPress Plugin. It comes up with a related content feature to engage your visitors and grow traffic. It's a complete social media kit for WordPress that brings all the important features under one dashboard. The best part is that it will never hurt your page loading speed. It also comes with social media sharing buttons that really makes it easy for your visitors for sharing the content right on trending social media platforms. AddThis is another popular WordPress plugin for showing related posts. It's a quick loading plugin that makes it easier to display the most relevant content to the visitors. You can use widgets and shortcodes to show related posts. You can see the how much clicks you are getting from the relevant post recommendations in AddThis dashboard. AddThis is trusted by over 15,000,000 websites and by over more than 2 billion people. WordPress Related Post is another useful plugin in the category. This plugin will automatically add related posts which can increase your internal traffic by up to 10%. All you need to do is install and activate this user-friendly plugin. This plugin will enhance the overall SEO of your website by creating quality internal links for your site. Just search for the post and hand-picked any of them quickly. It also supports different styles along with the thumbnails. It is fully customizable, and it also includes caching for improved performance. If you want to turn on the advanced features, go to Settings > Related Post Plugins Lists and just turn on the Advanced Features. No doubt, Related Posts WordPress Plugins play a vital role in engaging visitors by showing related content. It can also help in reducing the bounce rates of your website. You can use any of the above plugins to show related posts. But if you want to hear my recommendation, I'd like to recommend Related Posts or Related Post by JetPack. Hope this post helped you to find a related post plugin for your WordPress site. If you found this post useful, feel free to share this post on Facebook, Google+, Twitter, or LinkedIn. Your #1 plugin was pulled from WordPress.org. Might want to update your article and remove it. Thanks for notifying. I’ll remove the plugin soon. I am so delighted that I found your blog. I was just looking out for this topic. Your article is great and is extremely smartly written the article. Thanks for sharing. To find and keep loyal readers for your website is important to boost traffic. Your new readers don’t have time to peruse through your old posts. It is up to you to make them easily available. Showcase the posts that have performed the best whether through views or comments. Old popular posts also give an idea of what your readers should expect from you in the future. 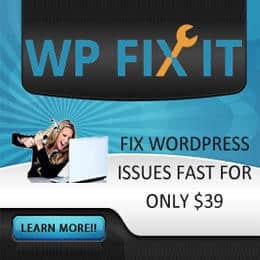 All these WordPress popular posts plugins have their strengths and weaknesses. It is up to you to decide which one suits your blogging needs. I think every website user should use related posts plugin on their website. Yes, it will help better engage with customers by showing related content as well as it will also help in reducing the bounce rates. You have picked out awesome related plugins for WordPress users and thanks for sharing.